Here's the really cool NEVER DEAD pre-launch gameplay trailer. the game drops on February 2nd. 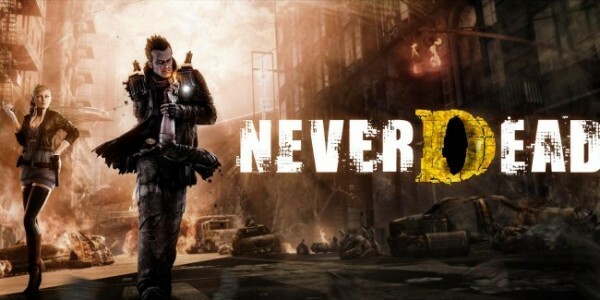 NeverDead which is being developed for PS3 and Xbox 360. NeverDead is a third-person action title set in a fantasy and horror-influenced universe of the near-future where supernatural battles between humans and extraordinary creatures span a vast city landscape. Players wield a unique butterfly design-inspired sword and an arsenal of guns, which are used to decimate waves of unholy enemies, and can rebuild their battle-weary body by collecting and repairing any lost limbs, and reattaching them.